Katie Adams is a South Florida native who comes from a real estate family. She attended college at the University of Tennessee at Chattanooga where she studied economics and played Division 1 Soccer. Katie has been actively practicing in the real estate business for 8 years, but has been exposed to the industry from a young age as her father is a custom home builder in Florida. Her strengths are traditional and digital marketing exposure, expert property valuation, and fostering client relationships. 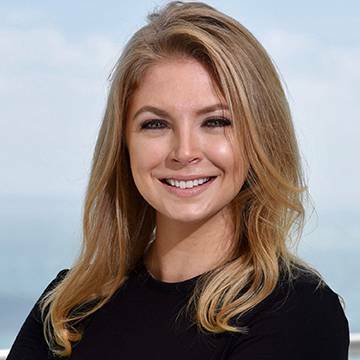 Katie’s vast knowledge and expertise of the Miami Beach and Miami real estate market is an added bonus for the clients she represents, and her determination and perseverance give her clients the results they expect from a luxury real estate professional.